There was a point in my life that I have questioned my very existence and of course at the end of the day I found no answers to my question. Seeing day to day news of triumph, tragedy, celebrations and death makes me think that life is so simple and so expendable and it goes around whatever motivates people to push for the day. In my case, I am not yet so sure what keeps me going, but it must the ultimate thrill that I always seek for that make me feel unfulfilled. I go forward to the unknown challenges that sometimes without thinking of the risks. I only adhere to my belief that I am free and I am keeping myself away from the norms that the current society dictates people to follow or to do. I feel that I have to be different but with no intention of becoming a lame risk taker. Much with those statements I simply want to say that being spontaneous is fun and educational. This applies to one of my unforgettable experience that I tried together with my friend in Davao City. 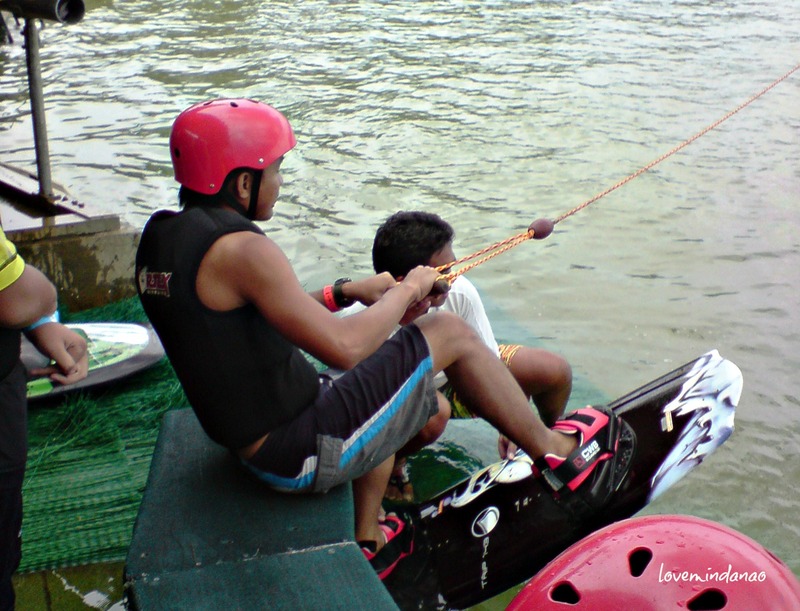 It was so unplanned that we went to do a water sports known as Wake Boarding in Deca in Tacunan, Mintal, Davao City. I have only heard of the water sports being offered in CWC in Camarines Sur and it would be my first time to hear it in Davao. It was a challenge and an opportunity again to engage in this indifferent from the usual day to day activity. We entered into the facility located inside the Deca Home Resorts (residential area). Good thing that my friend Mark took his car with him that spare us from the taking the taxi cab. 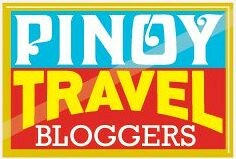 The rate for a half day stay was Php 400.00 per person . We first attended a short briefing about the said water sport for safety purposes (you wouldn’t enjoy it with a broken neck or limbs of course). We were given a life vest, helmet and a wakeboard. Unlike the usual surf board, the one we used was equipped with rubber shoes or slippers attached to the surface of the board. We have to fall in line due to a dozen of thrill seekers (waiting to be whipped out soon) . Most of them were first timers like me. My first trial was in the sitting position. It was a total laughing experience falling on my board when I suddenly got shocked being pulled very hard by the rotating cable. Splash! 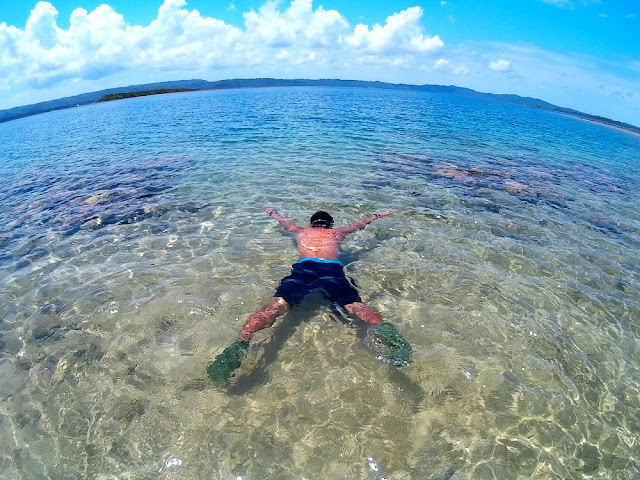 The last thing I know, I was floating on the murky eutropied water and paddling towards the nearest shore trying to avoid the other guests who were successfully gliding on the water with their boards. I return on the queue as I felt more challenged and realized that it was clearly on the grip on the cable and maintaining a balance sitting position to glide successfully. With slight concentration and thinking of just having fun, I was able to keep myself on board after I was pulled by the cable on the second trial. Amazingly I was able to roam the whole water complex twice before I finally decided to let go. 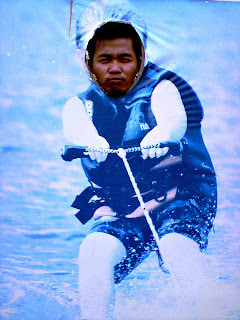 It was so much fun doing it firsthand rather than just watching it from afar. 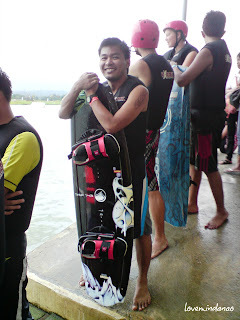 Thinking that I was capable doing the basic, I decided to level up and did the standing position just like the more experienced wake boarders . I made a lot of trials but with no avail I did not succeed. I may not able to do what other “professionals” can do, but it was a lesson learned that “you can’t just get whatever you want in life; you have to work hard for it with all of your heart and be patient to get rewarded soooooon!” Maybe more practice on this and perhaps next time I will be better. It was a satisfying day that we went home with smile on our face. You can actually imagine what happened after we entered the Colasas restaurant after this energy draining activity. Clean plates, that’s all ! If you feel not getting into the hassle, taking a 20 minute taxi ride in Davao City is the easiest way to get there. But if you feel doing the long trip, you can take a multicab jeepney with a signboard going to Calinan or Mintal. Tell the driver that you shall alight at the Sentro Mintal. From there take a habal habal or motorbike bound for Deca Homes. Sarap di ba Dens! 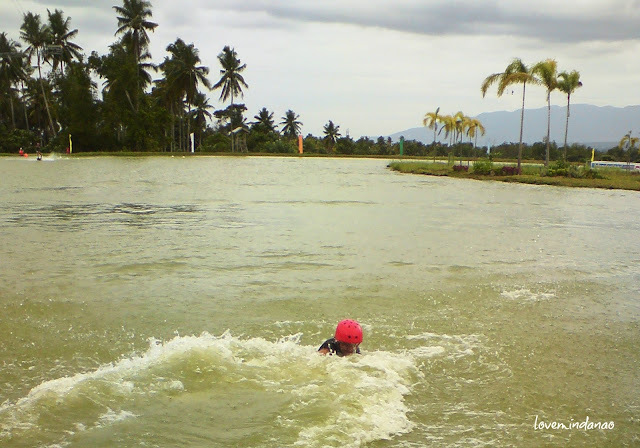 natry namin to sa CamSur Water Sports Complex...waaaah! be subscribing to your rss feed and I am hoping you write again very soon!